This time, I would like to show you how I made the supposed to be party favors, but was instead became the prizes for the games, since it was only few. My cousin made baby themed large cookies as party favors. Yummy, yummy! Step 1. 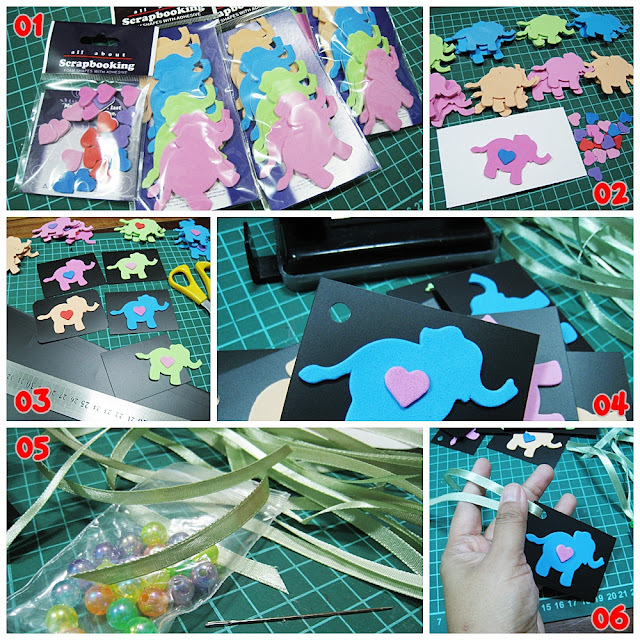 Prepare foam stickers and plastic folder. Step 2. Stick the hearts to the elephant. Step 3. 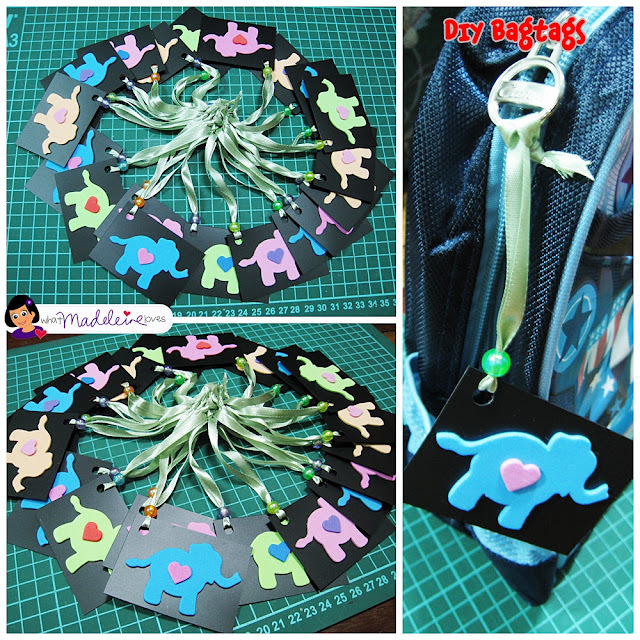 Cut out the Black Plastic Folder - size: 7cm x 5cm and stick the elephant into the plastic. Step 5. Prepare your ribbons, beads and needle. Step 6. Put the ribbon into the hole. Step 7. Insert the ribbon's one end into the big needle, pull. Step 8. Put the bead, pull. Step 9. Put the ribbon's other end into the needle, pull. Step 10. 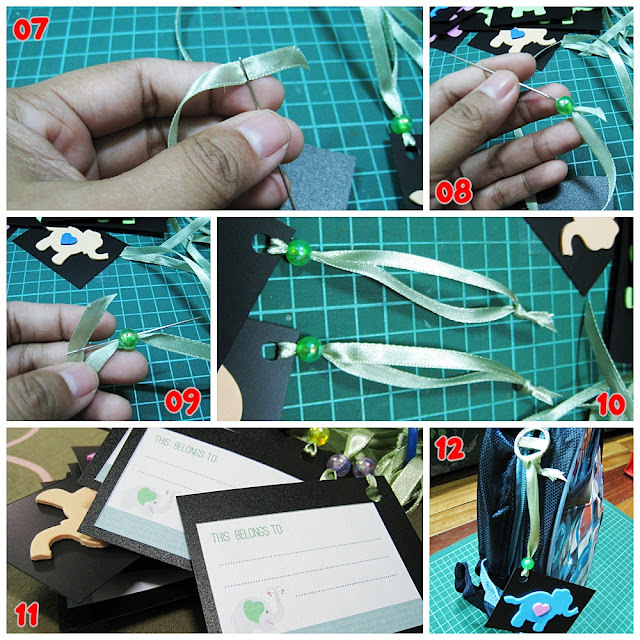 After aligning the ends of the ribbons and putting the bead properly, tie the end of the ribbon. Step 11. Put the "This Belongs to" Sticker at the back. 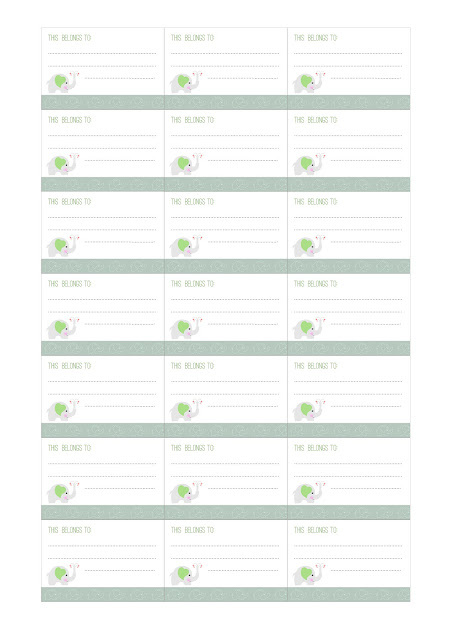 Write you name, number and address. Step 12. Tie it into your bag. And if you are planning to make one, here's a giveaway --- "This Belongs to" Sticker ! Print in A4 sticker paper (no scaling), cut and stick!